Peripheral Artery Disease (PAD) is one of the most dangerous vascular diseases because it goes unnoticed and because it can be deadly, if left untreated. 10 Million Americans have peripheral arterial disease and half of them do not even know it. 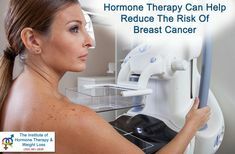 Statistics are showing that more people are suffering from PAD than from cancer in the United States. 75,000 people are having leg amputations every year in the United States because they have PAD. 35,000 of these yearly leg amputations were performed without any prior diagnosis. 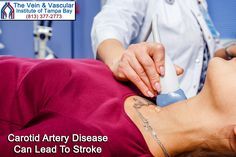 Peripheral Artery Disease also known as Peripheral Vascular Disease (PVD) is the narrowing or blockage of the arteries that carry blood from the heart to the arms and legs, restricting or stopping the blood flow. Peripheral arteries deliver blood that contains oxygen, glucose and other essential nutrients from the heart to the arms and legs. Healthy peripheral arteries are unobstructed and smooth on the inside. However, with age, an unhealthy diet, smoking, the development of diabetes or high blood pressure, plaque begins to accumulate on the inside of the artery walls. Plaque is made up of a combination of cholesterol, calcium and fibrous tissue. With more and more of this plaque accumulating inside the arteries, the arteries start to narrow and stiffen causing them to become hard. This hardening of the arteries, called Atherosclerosis, is one of the most dangerous and potentially deadly diseases of the arteries. Many people who have peripheral artery disease have mild symptoms, or no symptoms at all which makes it even harder to diagnose in its early stages. So, what are the symptoms of peripheral vascular disease to watch out for? The most common symptom is something called Intermittent Claudication, which is muscle pain or cramping in your arms or legs while walking that goes away after a few minutes of being at rest. Even though pain and cramps are most often experienced in the calf, they could also be felt in the thigh or hip. The intensity of the pain can vary from mild to severe. Some other symptoms of blocked arteries in legs include pain in the legs while lying down or at rest, leg numbness or weakness, a cold sensation in the lower legs or feet, a change in the color of the leg, sores on the toes, feet or leg that won’t heal, or a weak pulse in your legs or feet. Are you prone to PAD? Based on these risk factors, if you think you are at high risk and if you have been experiencing any of the arterial symptoms that are mentioned here, then we recommend that you consult with a peripheral vascular surgeon as soon as possible because PAD only worsens with time and it is life-threatening. Why is PAD or PVD Dangerous? 1) There is an increased risk of a blood clot forming within a blocked artery in the leg. If this arterial blood clot is carried through the blood stream it could travel to the heart, lungs or towards the brain causing a heart attack, pulmonary embolism or a stroke. All three of these situations are devastating to your overall health and can even cause death. 2) A small piece of plaque could break off of the plaque deposit and travel through the bloodstream. This plaque particle can get lodged in a smaller artery in the brain, block that artery, stopping the blood flow to the brain and cause a stroke, which can leave you severely disabled or it can be fatal. 3) Having blocked arteries in the legs greatly restricts the blood flow down towards the feet, resulting in bad circulation. Restricted blood flow to the legs and feet will eventually lead to chronic pain in the legs, achy legs while walking, cramping of the legs, pain in the feet, and infections or sores on the toes and feet that don’t heal. If this condition continues without treatment for blocked arteries, the end result could be the development of leg ulcers, gangrene and even amputation of the toe, foot or leg. Peripheral artery disease can go unnoticed. Early detection of any artery blockage can prevent the artery disease from progressing and becoming fatal. 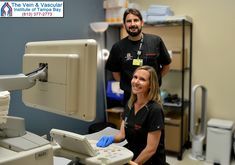 At The Vein & Vascular Institute of Tampa Bay, we have the latest ultrasound technology to accurately and painlessly discover the presence of peripheral arterial disease (blocked peripheral arteries). 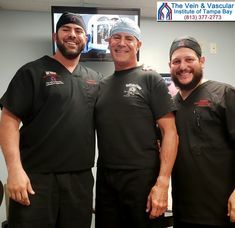 If you are diagnosed with peripheral arterial disease, you can have your blocked arteries treated by our Tampa Board Certified Vascular Surgeons. Our vascular surgeons treat PAD using minimally invasive endovascular surgery methods that quickly restore blood flow to your arms and legs, getting you back on your feet within one day and leave you with minimal to no scarring at all. To find out about which PAD treatment is best for you and to have a Vascular Consultation, give us a call today at (813) 377-2773 because if PAD is left untreated, it can be deadly. 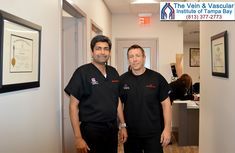 I recommend The Vein and Vascular Institute, I really do, because the doctors I’ve dealt with are excellent. And I have dealt with other vein doctors and they are not nearly as nice as these people. The office staff is excellent. They greet you at the front desk and they are very friendly. It’s nice to come in and see a friendly staff. Everybody’s happy. 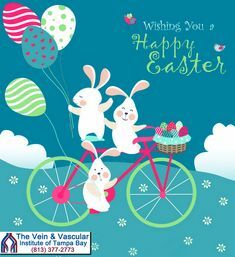 Copyright © 2019 The Vein & Vascular Institute of Tampa Bay. All Rights Reserved.